With over 650 e-cigarette inventions and patents registered so far, e-cig manufacturers are falling over themselves to create a multi-billion dollar smoking industry that is now comprises vitamin-flavored to pay-as-you-go computerized e-cigarettes, with China taking the lead in the design and patenting of various electronic cigarettes to suit the needs of a growing market. With over 300 million smokers – making almost half its male population active smokers, China is taking the leadership and pioneering position with the manufacture and design of various e-cigarette technologies that now include caffeinated vapors to pay-as-you-go vaping for quitting purposes. 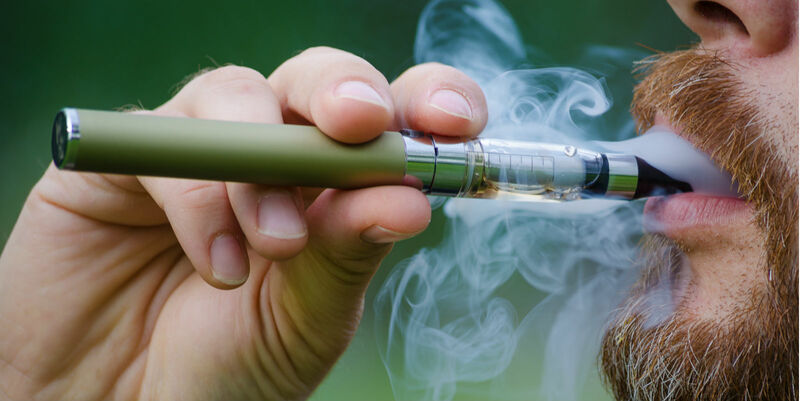 In fact, e-cig technology is fast taking the market by storm to the extent that the terms “vape” or “vaping” has caught the attention of Oxford English Dictionary. The whole electronic cigarette idea and technology started in 2003 with Hon Lik, a Chinese medical researcher that was renowned for smoking 20 cigarettes a day. He designed and manufactured the battery-powered heating systems that vaporize nicotine-laced liquid among other desired substances. Now worth $3.5 billion, Hon Lik’s e-cig invention became an instant hit, and was bought up for $75 million last year by Imperial Tobacco. With the latest pay-as-you-go electronic cigarette market, smokers now have a wide range of choices to make on their smoking needs – there are now e-cigs patented to help smokers quit; some reduce the intake of nicotine and help smokers spend less; others offer e-liquid flavors of menthol to marshmallow; and there’s also a place for a smartphone app that tells how much smoking you’re doing. Integrated into e-cigarettes, the pay-as-you-go smartphone app or computer application can shut off after you’d taken some number of puffs to help regulate your amount of vapor intake. With over 2,000 e-cigarette patents registered worldwide, 64% of this number is registered by Chinese individuals and firms, and 14% inventions made in the US, while South Korea comes up with 9%. And with the competition going on out there, a number of companies have filed for patents enabling them to manufacture e-cigarettes containing vitamin and supplement ingredients, and you can also now have collagen, caffeinated vapes, and e-cigs containing active cannabis chemicals.